White blood cells. 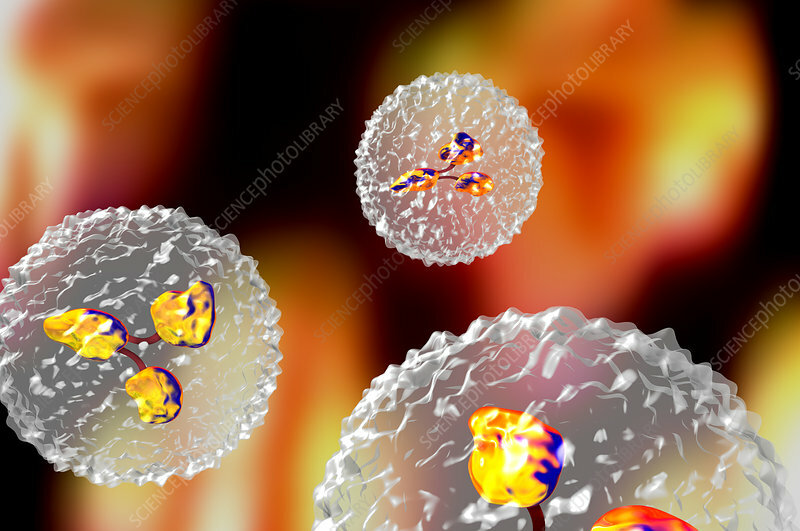 Computer artwork of B lymphocytes, or B cells, each containing an antibody molecule. B cells mature in the bone marrow and are responsible for humoral immunity; they operate by recognising specific sites on the surface of a pathogen or foreign object (antigen), which they bind to before producing antibodies to destroy the antigen.